Joseph Daniel White was born on 6 July 1931 in New Orleans where he grew up, but didn’t start in show business until he returned from armed forces duty in California in the early 50s. And the 50s in the Crescent City was a good time/place to be if you wanted to be a singer as the city, was jumping with good time rhythm and blues. White got a residency at the Golden Cadillac club with his band the Cavaliers which lead to a stint on the much more lucrative tourist area of Bourbon Street at the Sho Bar. He started recording around 1958 when the great Huey Smith took him to see Johnny Vincent of Ace records. Whit’s sides were never issued at the time but have appeared on a couple of Westside CDs. They are pleasant but pretty unremarkable New Orleans style R & B. His one-off for Shelby Singleton, leased out to Dot in 1961, wasn’t much better – but the next record made his career. 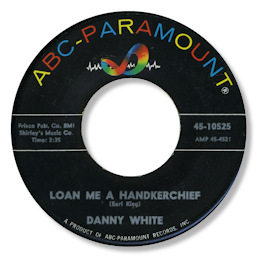 After the failure of these 45s to get White back in the charts, LaRocca agreed that White could try his hand cutting in Memphis, as DJ Hal Atkins urged in 1964. 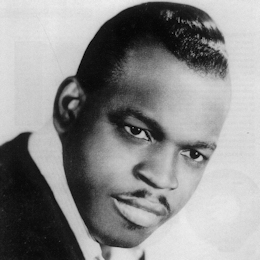 Production was handled by the Hayes/Porter team who not only supplied some fine material but also brought the best out of White’s limited vocal range. 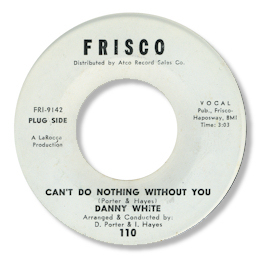 Can’t Do Nothing Without You is a great southern soul ballad, with White snarling and growling his way through the lyric in fine style. But not even with Atco distributing the 45 did it break through. 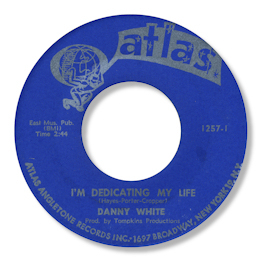 Neither did “Note On The Table” but this bluesy deep side, a personal favourite for many years, thanks to it’s great horn lines, “walking” bass and another impassioned performance from Danny. This sort of music predated Hayes and Porter’s work with Johnnie Taylor but has much of the same feel. LaRocca closed Frisco down but White stayed in Memphis with Hayes and Porter, holding another session, this time at Stax. The excellent double sider “Keep My Woman Home” / I’m Dedicating My Life was leased out to Atlas records in New York to a resounding silence from buyers. 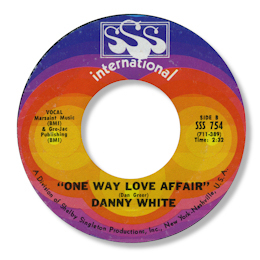 But the latter track is simply superb – a deep soul winner comparable to other outside Stax productions like Sir Lattimore Brown and Bobby King for John Richbourg. Check out White’s throaty conviction over Steve Cropper’s always inventive guitar lines, and Hayes’ pumping piano and those wonderful horns. The tough uptempo “Keep” is good value too. White was back in Memphis for a session with Bowlegs Miller, who used most of the Hi rhythm section and Memphis horns. 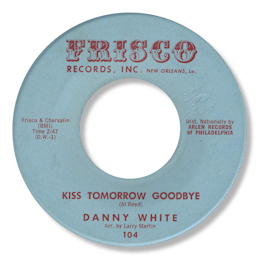 The recut of “Kiss Tomorrow Goodbye” doesn’t add much to the original, and although the dancers really like “Cracked Up Over You” it’s far from White’s best work. 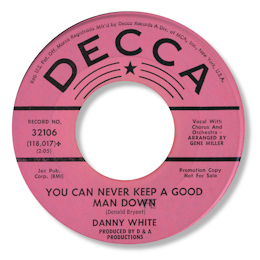 The midpaced “You Can’t Keep A Good Man Down”, written by Don Bryant, is good southern soul, but the real winner from the session is Eddie Floyd’s urgent uptempo thumper “Taking Inventory” which features some great Howard Grimes drumming, and well-arranged horns. His next single was a strange one. It certainly invloved New Orleans as the "Tou-Sea Productions" credit shows, but since the tracks were defintley cut in Memphis, I suspect the hand of Marshall Seahorn rather than Allen Toussaint for the fact that the results were leased out to Shelby Singleton. Both sides of the 45 were written by Dan Greer, but whether they were recorded at a separate session or were holdovers from the Bowlegs Miller dates is uncertain. The latter is a real possibility as audibly they are undistinguishable from those cuts. The funky “Natural Soul Brother” has had some attention from the dancers, but the flip One Way Love Affair is a real peach. I’m very partial to this fine deep soul ballad, not just for White’s nicely judged vocal, but for Teeny Hodges’ guitar and the full, rich horns. But there was just a final coda to his recording career when he appeared on Kashe with two tracks credited to Shrine boss Eddie Singleton. Kashe was owned by Ike Wells from a New York address and it is possible that the tracks were cut there or Wahington DC where Singleton operated – it certainly wasn’t New Orleans or Memphis. 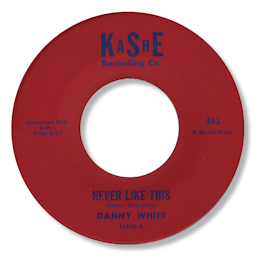 In any event both sides of the 45 featured Danny in downbeat mode, and while neither has the production values of his Memphis sides, nor such committed vocal tracks, both “King For A Day” and Never Like This should be better appreciated. I actually prefer the latter side, as it has better chord changes, and a more effective horn arrangement. But sadly the mix is all over the place, the girl chorus is way too high, and White himself far too low. But you can just about make out that this is one of his grittiest, deepest vocal presentations. A fine conclusion to his recording career. White had virtually stopped performing by the end of the decade, as the music scene in New Orleans and elsewhere changed and moved on. He became the manager of the Meters whose funky times were just beginning, but left show business altogether in the early 70s and moved to Washington DC. He passed away on 5 January 1996 – but his music lives on particularly in the Crescent City where several of his sides are always popular on oldies radio stations. And of course we deep soul addicts will continue to admire other tracks, especially those cut in Memphis. 1. The disco artist on Rocky Coast is a different one. As is the artist on Nu-Sound. Don’t waste your money like I did. 2. You can find all of White’s Frisco, ABC, Atlas and SSS Int tracks on the Kent UK CD “Natural Soul Brother”. Buy it. 3. You can find three of White's unissued session for Johnny Vincent on UK Westside CDs. "Educated Fool" on "That'll Get It"; "Let's play" and "Its Too Late" on "Havin' Fun - More Of The Best".